I remember when Peyton was little and she was just discovering books. Oh, did she love books! And she still does. Baby, Baby! is a wonderful book for infants. It’s a simple, rhyming book for infants to enjoy. While they are listening to mom or dad read the story the babies can look at illustrations of other babies or even themselves. That’s right, there’s a mirror inside the book so baby can see themselves! Some of my fondest memories is curling up in bed and reading stories to Peyton. We still do it this very day. She would’ve loved Baby, Baby! Why? Because she would’ve been able to see babies doing things that she always does. It’s a great book for littles because they can relate to the images they are seeing. This would make a cute Baptism gift too. The rhymes end with you reading a line telling Baby they will be loved by God. So I think it would be a great book to gift to a family that is baptizing their child. It helps to introduce and reinforce God in your little one’s life while also engaging your child with illustrations of other babies as well as ending the book with a mirror so your child can see themselves. I also think this is a great book for preschoolers. I remember when Peyton was 2 or 3 she loved to read stories about babies. She loved to talk about them and pretend she had her own baby with her dolls. I think it would help teach your little one about rhyming too. And when they are 2 or 3 or even 4 a board book can be better than a regular book. At least with a board book the book has a fighting chance of surviving the grasp fo the little fingers. I thought Baby, Baby! was a very cute book. If Peyton was still a baby I’d be reading it to her. 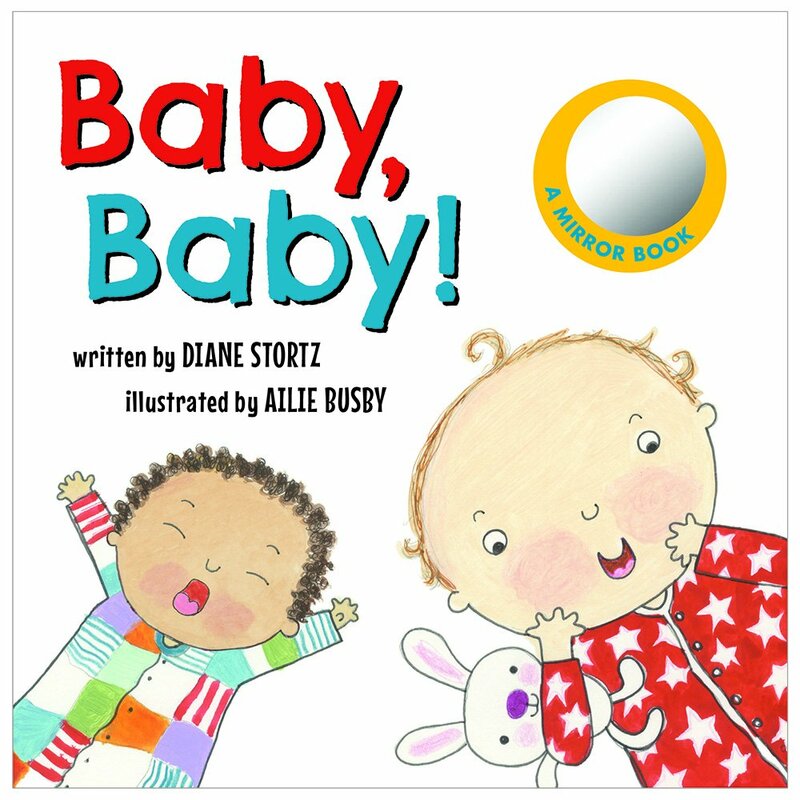 You can pick up your own copy of Baby, Baby! online. Looks like a great book with an awesome story !